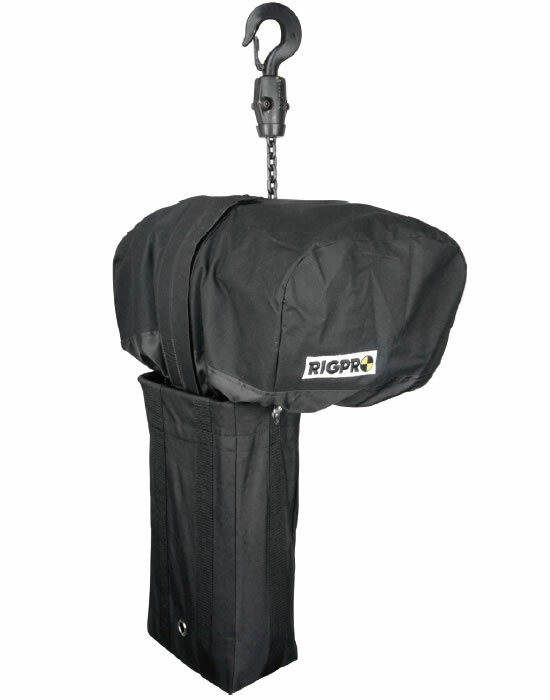 As its name, it is the jacket to fit over the hoist body ( RigPro RH-1000 and all other major brand hoists ) to help protect against rain ingress, dust, moisture, etc. 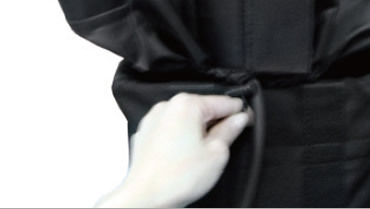 It is made of 900 denier woven polyester and two coats of resin which proofs against the elements and provides long wearing. The standard color is black, CH-52B. 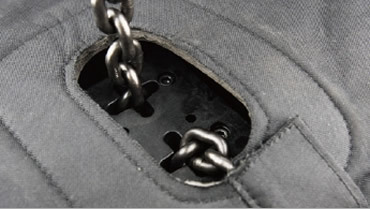 Customized color and logo embossed upon request with minimum order quantity. 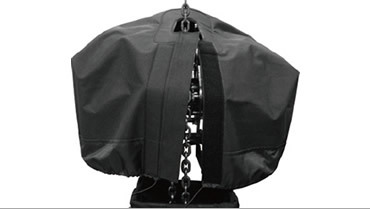 leaves the chain hoist from moisture and dust ingress. 2. 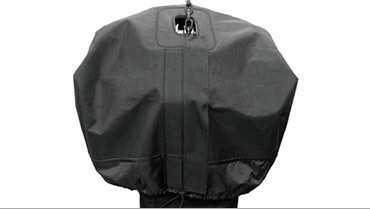 Cosmetic & Valuable: hoist jacket gives chic appearance, keeps chain hoist low profile, and better than wrap hoist up with other materials. 3. Save time & Simple: only three steps like the followings and take really no time. The rectangular cut out to. String to tighten the skirt.